Save up to 5¢ per gallon & get a 2% in-store discount. Just pick up a card in-store and sign up now. Estimated discount based on average fuel price of $2.50 per gallon. Discount reflected in checking account entry. To activate your DK Debit account, you will need a DK Debit card, a U.S. checking account, a valid driver’s license, and a valid email address. Simply link your DK Debit card to your checking account to enable debit transactions and start saving today. Use your card to pay in-store and get a 2% discount on everything you need.  Every time you pay with your DK Debit card at the pump, you’ll save up to 5¢ per gallon on fuel. Your security is our priority. To ensure your protection, your DK Debit card is managed by ZipLine, a leading private label debit processor employing state-of-the-art firewall and other comprehensive security methods in accordance with the rules and regulations of the Federal Reserve. All personal data is encrypted in real time, and every transaction is PIN protected. ZipLine monitors and limits exposure to fraud, so you’ll never be held liable for unauthorized transactions on your DK Debit card. Ready to get started?Sign up for a DK Debit card and start saving.